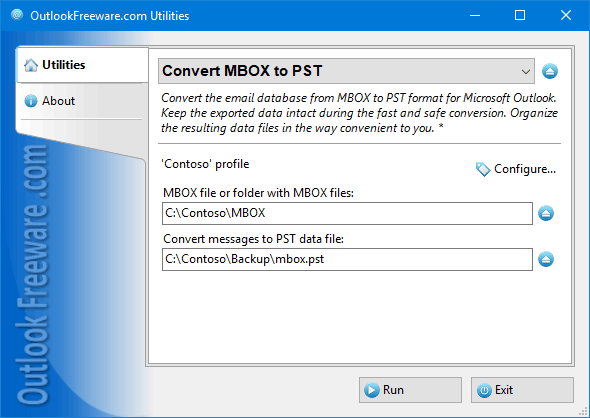 The utility converts the email database files from the MBOX format to PST for Outlook. You can get one or more PST files from MBOX files in different folders. The contents of each MBOX file can be saved in a separate folder in the PST file. In the process of conversion, you can immediately split the resulting PST files by size or year. Vemail is software that lets you record and send voice messages instead of text using ordinary email.